"Now that I feel great, I can drop!" 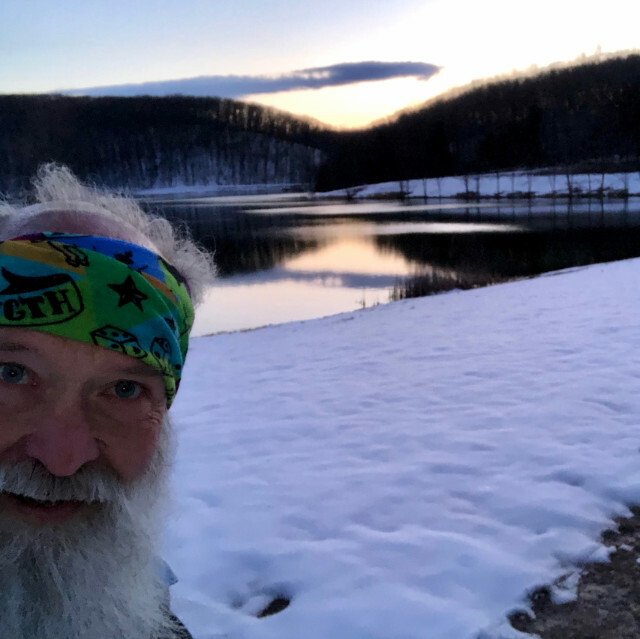 Nonattachment to goals — e.g., finishing a race, avoiding discomfort — doesn't happen if one is despondent and suffering, as was the case at the end of Lap 2. But from a position of strength one can soften, open, and grow. The Greenbriar 100 Miler in its inaugural year features beautiful scenery, scary ice, sloppy mud, and a blanket of soft snow over rocks and roots. What's not to love? "I can be ready in 30 seconds!" Kind RD Kevin Sayers offers the option to start two hours early and accompany Carol Williamson — who soon runs out of sight. 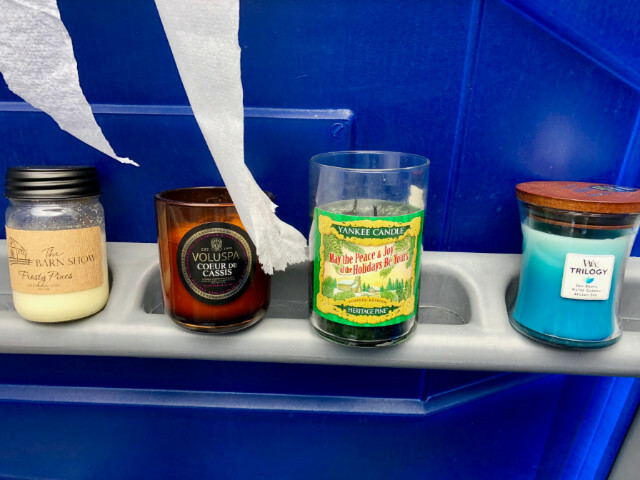 Before that, help set up the start/finish aid station, make new friends, and discover scented candles in the porta-john. Sweet! Realize that the backup pair of shoes was forgotten at home, an hour away. Text ultra-awesome ultra-friend Stephanie Fonda who picks them up to bring at midnight when her race starts, just in case they're needed. Thank you, Ma'am! Stephanie goes on to finish 50 super-tough miles solo. Wow! Damp feet dampen spirits at mile 12. Then John Hord zooms up, with enthusiasm to spare and share. Trail talk makes a final circuit of the hilly course go fast. Withdraw, shake hands with the volunteers, and zip home. Peel Leukotape off feet, shower, and hop into bed before midnight. A great day to sample a tough course!